Monday Montage Blog Hop – Week 112!!!! Hello friends! Welcome back to the Monday Montage Blog Hop! You may have gotten here from the amazing Bree Renwick’s blog, make sure you select the “next” button below and that will take you to the next stop on the hop, Dani’s beautiful work. Stamping the background image in Bermuda Bay on the Bermuda Bay card front gives a subtle background that adds interest to the card. 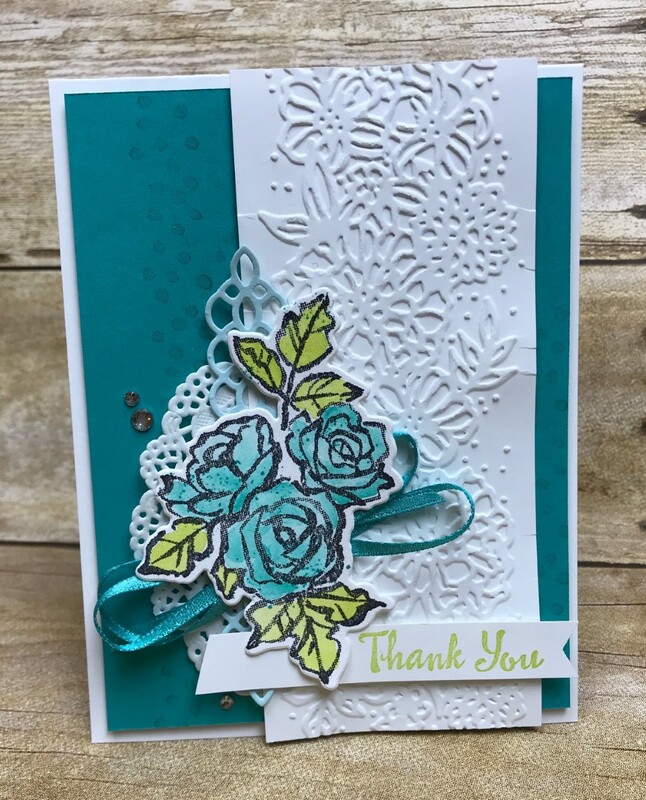 The flower stamp is stamped in Archival Black on Watercolor paper and then watercolored with Bermuda Bay and Lemon Lime Twist. 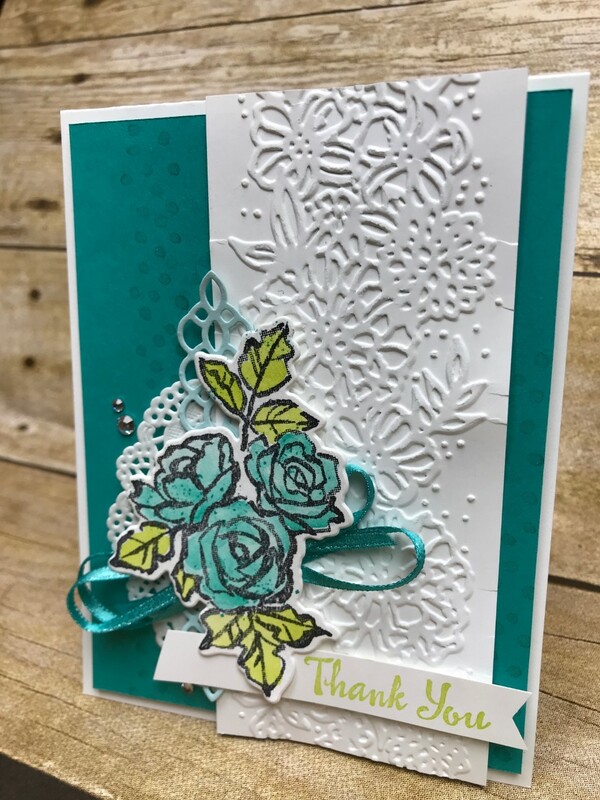 It was fast and easy to layer the main focal point of the card with the stamped flowers, doilies and ribbon. Make sure you go “back” if you missed Bree’s wonderful creation or you can loop on around by hitting the “next” button to get to Dani’s gorgeous work and the rest of the hop! This entry was posted in Cards, Stampin' Up and tagged Create, DIY, Papercrafting, Papercrafts, Petal Palette, Stampin' Up, Watercoloring by kate80132. Bookmark the permalink.